PASSION: Kids, empty waves, building fires, shape shifting. Surfboard builder Matty Raynor may have obsessive compulsive disorder, but it’s a quirky trait that works out well for his craft. 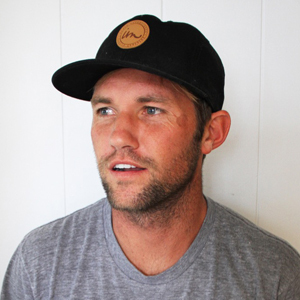 As one of the few young shapers under-30 years old on the North Shore of O‘ahu, Matty is known for making high performance surfboards of all types, but his speciality is “quiver killers,” which are hybrid shortboards that can be ridden in a variety of conditions. Yet, Matty is not just a mad scientist with dimensions running around his brain. On the contrary, he is also an artist and the Raynor Surfboards label is known for the beauty of their resin work and glassing. He is as much a practitioner as he is a guru, and the regular foot rips whatever size or conditions the waves are. Matty believes that form needs to follow function and there is always room for improvement whether it’s the act of surfing, shaping or as a loving father and husband.